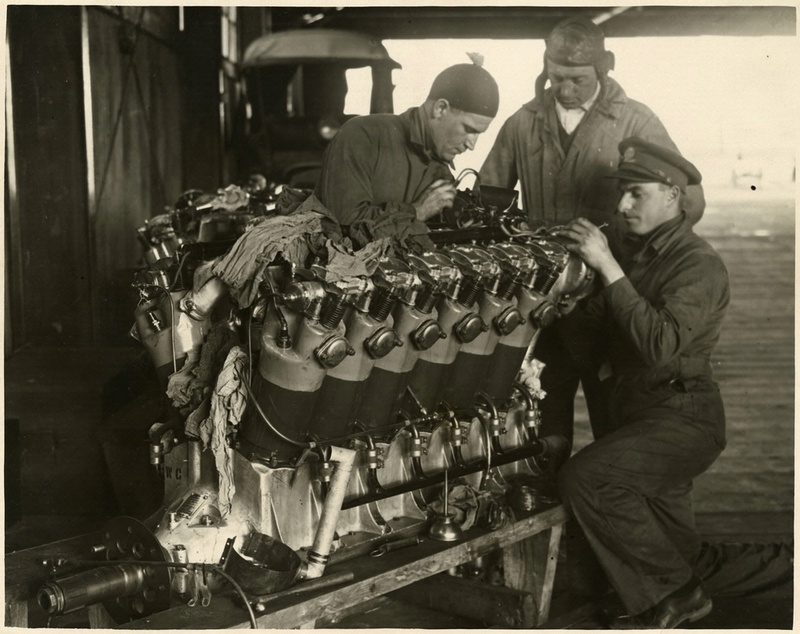 World Cruiser flyers Wade, Smith, and Ogden examine a Liberty V-12 aircraft engine selected for their flight. The Army Air Service had thousands of Liberty engines left over from World War I. Rugged and easy to work on, they powered the first postwar generation of U.S. military aircraft. National Air and Space Museum, Smithsonian Institution (SI 83-406).